I don’t know how you feel about creating Art with your camera, but to me, it’s something I strive to achieve. That photography can be Art with a capital ‘A’ is still not wholly accepted among the established community of painters, potters and critics, especially in England. Why not? The principle reason is that it’s apparently easy to create and limitlessly reproducible. 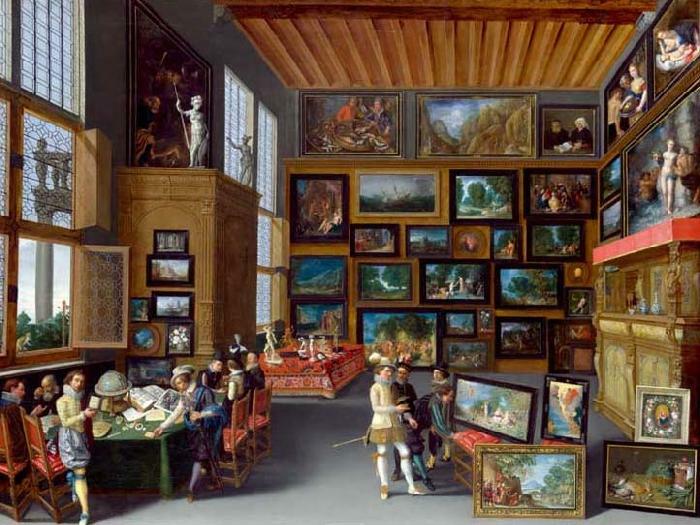 To paint ‘Cognoscenti in a room hung with pictures’ would obviously have required a good deal of skill and time; and there’s only one original. Conversely, I can make a photograph in a fraction of a second and create a hundred near identical copies all around the world for less than the price of a bit of canvas and a decent paintbrush. Art can be costly precisely because it’s unique, and there’ll only ever be one original. In fact, it’s been a rather better store of value than Dollars or Pounds in recent years, negating Wilde’s belief that it is ‘utterly useless”. Photographic prints are often released as a limited edition, sometimes with a sliver of the original negative included as a sort of guarantee. While prints are available, it is still worth travelling to distant museums to see original paintings. Photography is different, and digital technology has only exacerbated its apparent abundance. Slides and negatives are degraded as prints are made, and consistency can be tricky. But a colour-balanced .tiff file can be printed easily by anyone with an appropriate printer with no loss of quality compared to another print. It also doesn’t help that almost anyone with a phone has access to a camera, and more people are taking more pictures than at any time in history. Facebook has an image library of over one hundred billion pictures, for example. The barrier to entry is seemingly low, and this can be a cause for concern from those who want to see Art as being the exclusive practice of the few. Despite these reasons, photography is increasingly being accepted as a medium for Art. Making the spurious connection between price and artistic value for a second, we see that Gursky’s print of ‘Der Rhein, II’ sold for $4.3 million in 2011 and even Peter Lik’s beautiful photograph of reflections in a river, ‘One’ sold for $1,000,000. Why? Well it wasn’t absolute mastery of the craft, nor even ‘authenticity’ of process. Purists will be ruffled by the use of Photoshop. This is prejudice; a painter has artistic licence to interpret a scene as they see fit; or just create from pure imagination. It is also ignorance; all photography has been edited to some degree but some photographers simply choose to take more control. A measure of worth is attributable to perceived brand value. For example, the materials and labour costs that go into a Louis Vuitton bag may contribute substantially less to the value than the ‘name’. The same is true of art, and especially of photography. If Art is an investment, then it as well that it is founded on something other than a pretty picture, however intangible. Apparently Dali capitalised on his ‘brand’ in old age by hosting expensive dinners then doodling on his cheques when it was time to pay. An original drawing by the master was worth more than his lavish feast, so the cheques were rarely cashed. Ironically, he did this so much that the cheques eventually became common and consequently worth much less. This explains a few things. A photograph of a peacock which records its splendid feathers is pretty but just that; a record. Here is one of my own attempts – you’ve probably taken similar images. 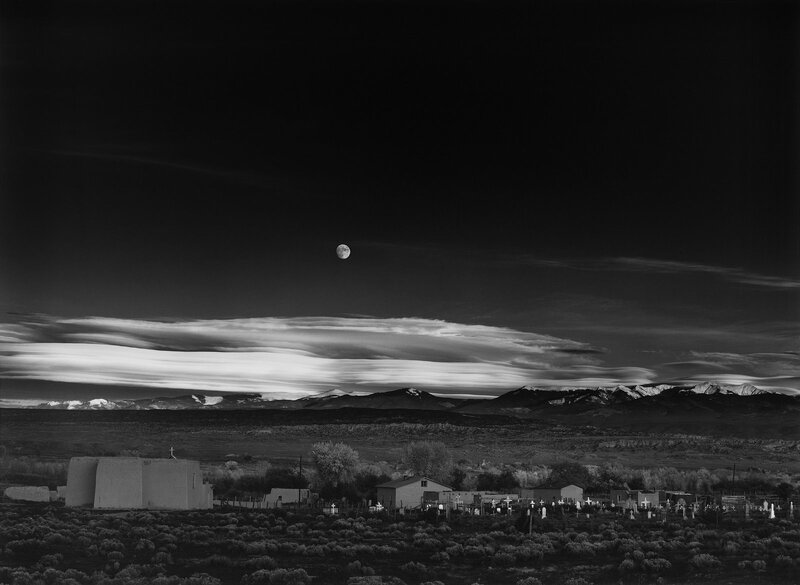 But ‘Moonrise, Hernandez, New Mexico’ is unique (though Adams made 1,600 prints). It expresses more than it shows, and I find in trying to explain my reaction to it, I struggle to find the right words to do so. When Adams took the shot and made the first print, he was creating something new in a way that I, photographing another sunset, however beautiful, did not. The banks of the Seine opposite the Louvre attract painters who copy the work of the masters that are displayed inside. They are exquisite. But however accomplished, they can never be worth the price of the original. Interestingly, replicas are often hung in place of original paintings, which may be deemed to be too valuable to be out. Originality is important, but it is also a fool’s gold. Chinese copies of Murano glass now apparently surpass the Venetian and forged North Korean ‘Super-dollars’ are better-made than the US originals. Picasso made the point that ‘good artists copy; great artists steal.’ The brilliant Newton humbly attributed his farsightedness to ‘standing on the shoulders of giants’. Try as you might, you will always be influenced by what you have seen done before. Studying literature, the focus was always on the canon’s influence on the author; and their corresponding influence upon it. As photographers, we must be careful. Images constantly inundate our senses; on cereal boxes, on buses, in newsstands, online; your mind is absorbing them. The old truism of rubbish in = rubbish out is a warning. I advise consciously skimming through the best art you can find to counteract the dross. Trust your subconscious to internalise what you show it most often. But beware the intended size of reproduction. Some frescos are meters in diameter; and their intricacies will be experienced in a way that an A3 print of a photograph cannot approach. Unless you’re using specialised equipment or stitching images, photography offers more limited possibilities in this regard. Moreover, most digital photographs will only ever be seen on screens. 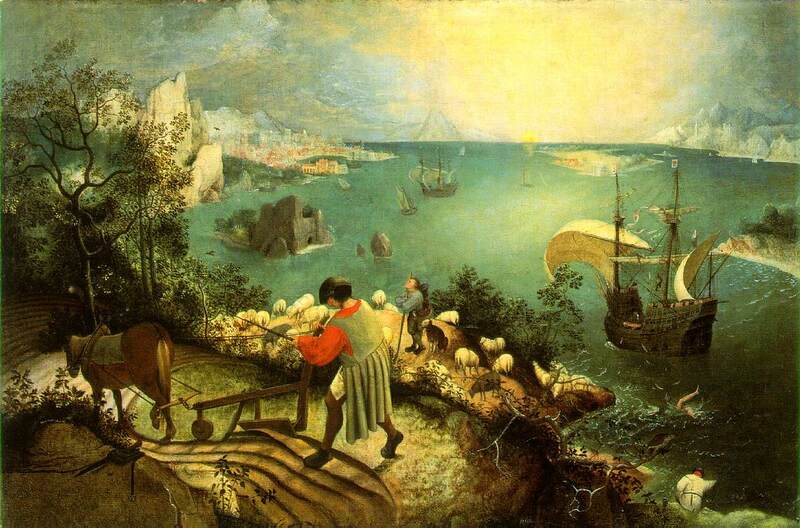 Brueghel’s ‘Landscape with the fall of Icarus’ uses the size of its subject to tell the story; Icarus, fallen from the sky into the sea, is shown small, unnoticed. Try the same technique with a photo on www.500px.com and the meaning may be missed entirely. And sometimes the size has an intentional impact on the viewer’s experience of the art. As Rothko says of his towering multiforms; ‘however you paint the larger picture, you are in it. It isn’t something you control!’. Gursky’s work takes advantage of this effect. And some buyers also equate size with value. I often advise my students to compose differently for photos that will be shared online, especially for competitions. Simply put, everything has to be bigger in the frame if it’s only going to be seen a few inches high. If it works as a thumbnail, you’re doing well. Horizontal format works better for the same reasons. Of course there is considerably more flexibility for prints. It isn’t just the visual that exerts its influence upon your photography. To discuss the multitude of factors that do is beyond the scope of this article, but let’s look at the importance of ideas for your artistic growth. Of course this is nothing revolutionary. It is clear that Nietzsche’s ‘Birth of Tragedy’ affected Rothko, Surrealist thought was fruitful for Cartier-Bresson and the Bible infuses a lot of Western art with its symbolism. Photography had a huge impact on art; suddenly mimesis, however accomplished, couldn’t be as precise as a camera allowed; and abstract art became as popular as figurative. So which ideas influence you? I’m conscious of post-modernism and Eliot’s ‘Wasteland’ in my fine art work. Nietzsche’s delineation of the contrast between Apollonian and Dionysian aesthetics was a breakthrough. If you’re using the Rule of Thirds then you’ve been influenced by Ancient Grecian mathematicians and the Golden Ratio. So what? Well if you want to improve your photography you’re aware that a voracious appetite for great imagery is helpful. But I’d suggest that an equally strong desire to devour ideas is essential to realise your potential. Be open to everything; it is not necessary that you agree with them; just that they are recognised and allowed to percolate into your pictures. And what does it eventually come down to? What do I recommend and constantly aim to do? The Idea in Holistic Photography is divided into two parts; Preservation and Expression. Preservation is the pursuit of authentic sight without artifice or mimicry. I trust that with so much input from dissimilar styles and ideas, the act of simple seeing will be enough. As photographers, this is the true essence of our art. In my article about the psychology of how we see, ‘Benefit From How You See The World’, I reiterated that we actually only see a fraction of what we look at day to day. To reduce the huge amount of input that our eyes supply, our reticular activating system generalises things (Plato’s idea of forms is useful here), highlights what’s important to us and ignores what isn’t. Your beliefs dictate what you see. Even your emotions will alter your experience of the world. In psychology this is called confirmation bias. And we won’t see what we’re not looking for; as Simons and Chabris memorably demonstrated with their gorilla. As a photography coach, I notice the cameras people have and how they’re using them. As an artist, my eye is trained to see colour contrasts, interesting textures and engaging subject matter. It is therefore enough to photograph what you find interesting; many others might not see it. Ever read a poem and thought you could have written it? Well only the poet wrote it; and that’s the beauty of creation. This is the photographic equivalent. This understanding of how your beliefs literally alter what you see allows us to train people to become artists with Holistic Photography. An old Welsh farmer I taught noticed the stonework of Barcelona and the ‘keep away stones’ at the base of corners to stop the carts eroding the ancient walls; I had paid scant attention to them before then and not considered their purpose until he shared his vision of the world through photography. The photographs themselves could have been taken with an iPhone; the perspective was the key. So trust yourself to create. As Charlie Parker said of Jazz, ‘Music is your own experience, your own thoughts, your wisdom. If you don’t live it, it won’t come out your horn’. Feel strongly about things and your photographs will move people. Study conflicting ideas and your images will have depth. Think carefully and your viewers will pay attention. De-familiarise. If you plan to photograph a famous location, chances are that you already have preconceptions of what you will find there. These can actually prevent you from seeing what’s really there. Moreover, though the photographs may be spectacular there is a tendency for them to simply prompt your viewer’s preconceived ideas if your subject is too identifiable. ‘Oh, the Eiffel Tower is beautiful, I went to Paris with my wife’ isn’t the reaction you want. Show common subjects in an unexpected way to force your viewer to reconsider their entrenched reactions to them. Art is a powerful medium to stimulate thought. Don’t misunderstand me; this needn’t be as simple as just recording the arrangement of objects in a changing world. Holistic Photography also talks about Expression; using the photographs to express emotions, even to speak didactically. Art allows the expression of feelings through unexpected subjects; even the seemingly banal can stir feelings. White photographed ice on windowpanes to play with symbolism. You can be even more abstract; ‘to get from the tangible to the intangible’ as Newhall said. I used to think that developing a personal style meant finding a gimmicky post-processing effect or limiting myself to a single subject matter. But no; once you’ve understood the essentials of the craft, it turns out that your uniqueness means just photographing what you actually find interesting in a way that looks best to you, or using the camera to make images that you feel express your ideas and emotions. For art, make photographs for yourself first. With billions of images being created worldwide it’s difficult to stand out; but no one sees the world like you do. Try simply seeing for a while, or creating photographs that move you personally, and you’ll be amazed by the results that you’ll get (but more importantly be moved by the process). This is an exceptional article! I love that you have addressed the idea of suggesting looking not just with a new perspective, but with an eye to see what is in plain view in a new way.